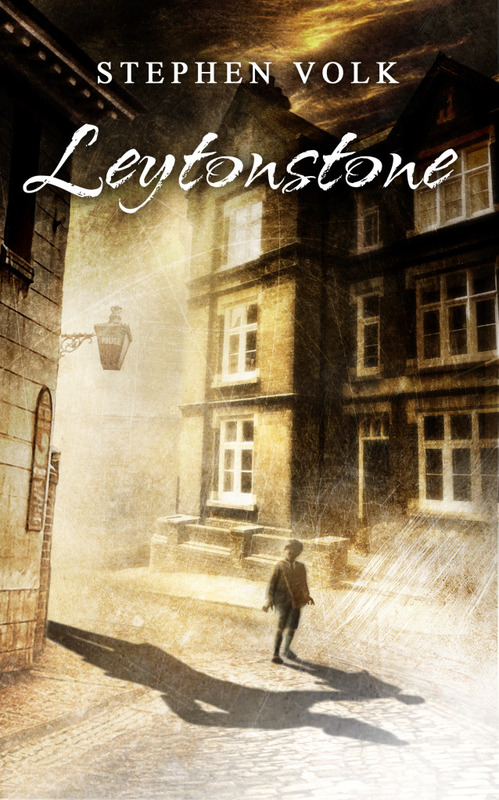 Leytonstone is the second in Stephen Volk’s trilogy of Dark Masters novellas based on notable figures from the world of cinema, following the excellent Whitstable from 2013. That work was a sensitive portrait of Peter Cushing living out the twilight of his life in the novella’s titular town, and portrayed Cushing in a way that could only engender protective feelings towards the well-loved actor. As a Cushing aficionado, I couldn’t help but fall under Whitstable‘s spell and become drawn into its dark narrative. In contrast, and it’s a contrast of many facets, Leytonstone presents us with a fictionalised account of the very early years of Alfred Hitchcock and is told with a closeness and attention to period detail that’s compelling. But the story here is, if anything, even darker than in the first volume of the trilogy. As with Whitstable, there’s no supernatural aspect to Leytonstone; instead, there’s real horror born of the human soul, no more apparent than in the way young Fred is depicted. At first, what one assumes is loneliness and isolation is revealed as something more insidious in his character. Any sympathy for this ostracised, unusual little boy falls away. To say there are aspects of sociopathy already at play in the seven year old’s psychological make-up might not be straying too far from the truth. One tantalising question which Volk seems to posit is whether or not Hitchcock’s remarkable flair as an auteur virtually unequalled in film history is thanks in part, or perhaps even in whole, to a sacrifice in early life that is truly shocking (the veritable ‘twist ending’ for which the director became so well-known). It’s not the boy’s own sacrifice, but one made on his behalf; to protect him; to save him. Wouldn’t any parent do likewise? And does the family’s expiation elevate the subject of the sacrifice to the level of godhood, as the Master of Suspense? The parallels with Hitchcock’s Jesuitical upbringing are interesting, and I found myself reminded of the Christian concept of the sacrifice of the Father of his only Son, reversed here in the sacrifice of the mother for her son. Fascinating concepts for sure. Throughout Leytonstone there are subtle, fleeting references to some of the great director’s best works, hinting at that question of nature versus nurture and what shaped Hitchcock, including the famously apocryphal night in the local police cells to demonstrate to the young lad what happens to wrongdoers. Is the boy’s innocence at the point at which this happens then overshadowed by his desire to do something that would have merited such punishment? He has been punished having done nothing wrong; why not do something wicked to balance things out? This sequence seems pivotal in the story and the policeman who does Hitchcock senior the favour in providing the boy’s night away from the bosom of his family is a grotesque caricature, but no less chilling as the book’s final frames play out. The writing here is superb and I experienced a voyeuristic pleasure in reading this fascinating narrative, an aspect which would not have been lost on Hitchcock qua director, I suspect. I particularly enjoyed the home setting and the author’s credible portrayal of father, mother and son, a trinity of souls trapped in a dysfunctional family grouping with hints of an Oedipal bond between Mrs. Hitchcock and her beloved boy. Ironically, the bond between mother and son seems far stronger than between husband and wife. That’s so at least until the ending when the strength of the Hitchcock family’s resolve and its desire for self-preservation is brought to the fore. Leytonstone comes highly recommended, whether or not you’ve read Volk’s earlier Whitstable (but do seek that one out too; it’s brilliant!). The novella is due to be published by Spectral Press in March 2015 and is available to pre-order now. More or less infrequent reviews of supernatural and weird fiction by Brian Lavelle. The site is named after a story by Robert Aickman. Caveat lector: there may be spoilers here! I buy (too) many books, but am also happy to review items if you care to send them to me. Please see the So, what is all this? page for details of how best to do that.